Dillingham, Alaska is home to Beaver Creek Bed and Breakfast. 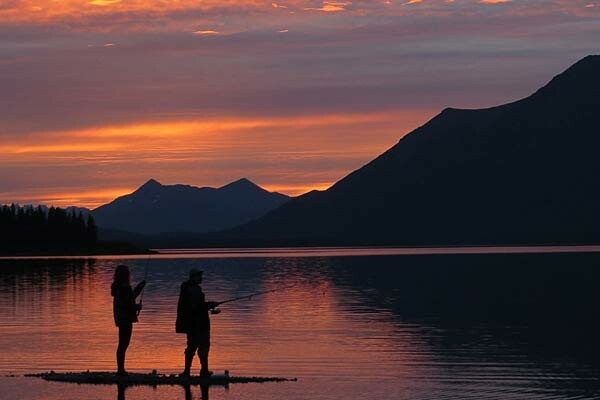 Enjoy a restful nights sleep, charming Alaskan home-style ambience, and friendly hospitality that only Alaskans can offer at. Beaver Creek B&B is open year round and is a favorite place to stay for Business Travelers seeking Dillingham Alaska lodging. Sportsmen find it the perfect place to stop and relax on their way to and from their wilderness adventure. We have an airport courtesy shuttle and Rental Vehicles and Trucks available. The Bed and Breakfast offers different lodging options: our Main House rooms, the Caribou Cottage, the Birch Circle House, and the Angler and Bull Moose Cabins. Each accommodation has a fully equipped kitchen, stocked with a deluxe assortment of breakfast foods and snacks. Accommodations have telephones, cable or satellite television, internet access. Comfy bathrobes, hairdryers, ironing boards and irons provided. Rooms are uniquely appointed with the guest’s comfort in mind, enjoying the privacy of a hotel and all the warmth of a home. Our accommodations are of the highest quality, clean and comfortable, and provide a smoke-free environment. We also have extended housing options: the 2 bedroom, Trail House and our 6 bedroom, Big Log House. Your hosts, Susan and Gorden Isaacs, will be happy to assist you in making your stay in Dillingham memorable. Gorden is semi-retiring this 2019 Summer. Susan manages the bed and breakfast, provides accounting services and is involved in property management and volunteer work in Dillingham. Gorden and Susan have lived in Dillingham since 1975 and 1989.